Cook the Totino’s™ Pizza Rolls™ as indicated on the package. Mix the ingredients for the dip with an electric mixer at medium speed until everything is well combined. Refrigerate until serving. Garnish with more chives and serve with Totino’s™ Pizza Rolls™. If the dip is too thick, add 1-2 teaspoons of milk until you have the desired consistency. Queso fresco is one of my favorite cheeses and I love experimenting with it. Today I want to share a delicious and easy recipe: queso fresco dip. 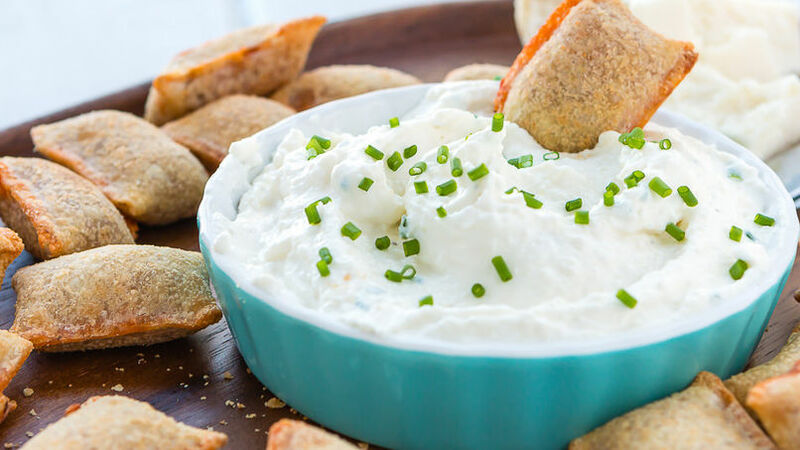 This dip is a great way to treat party guests or to delight the men of the house while they watch sports. You can even add it to a sandwich or over a baked potato… simply irresistible!